11 May 2014 9:57 AM AEST -The New Zealand Architecture Medal is the highest architectural honour in New Zealand and is conferred upon just one project that is considered superlative. 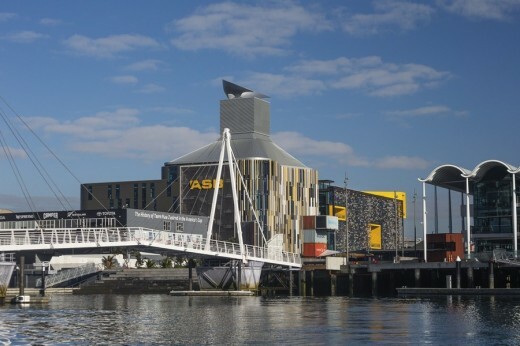 ASB North Wharf in Auckland by Australian architects BVN Donovan Hill in association with New Zealand architects Jasmax received this coveted prize at the New Zealand Architecture Awards announced in Auckland on 9 May. As well as receiving the highest honour, the ASB North Wharf was also given a Commercial Architecture Award; an Interior Architecture Award; and a Sustainable Architecture Award, making a total of four awards for this one project an outstanding achievement for BVN Donovan Hill in association with Jasmax. The latest in a series of buildings by the same architects for the same client, ASB North Wharf is an even more ambitious exploration of typological possibilities. It is a totally integrated project – an architectural realisation of a workplace philosophy, an exemplar of environmentally sustainable design and a contextually aware presence in a new maritime precinct. The building marries technical achievement and poetic expression, spatial organisation and social purpose. Transparency and inter-activity are the principles to which the design adheres; it is a profound shift from the stolid forms, static workstations and rigid hierarchies of the traditional banking environment. This is design for a digital age in which everything is fluid, including the movement of money. The architecture of the building dissolves workplace barriers and encourages creative encounters; it offers individuals a choice of spaces they may temporarily occupy, and some control over their immediate environment. It accommodates modern workplace practices and influences workplace behaviour in a technologically advanced business sector. In ASB North Wharf we may be seeing the future shape of work. The product of considerable research and the realisation of a radical workplace and behavioural strategy, ASB North Wharf is creatively disruptive of the traditional office environment, let alone the familiar bank building. The architecture promotes interaction, and allows for individual discretion. Intentionally, ASB North Wharf is a pioneering building, and something of a pioneer in its maritime neighbourhood. It is a commercial building, however, and business imperatives, such as staff retention, worker productivity and client engagement and satisfaction have closely informed design strategies. To a very unusual degree, but cleverly not to an overt extent, the building is a sophisticated architectural expression of a commercial philosophy. A robust structure of simple materials carefully constructed and honestly expressed, an array of expressively formed meeting spaces, a light-filled and transparent core, bridges and sweeping stairs that promote movement and chance encounters, are elements of the radical strategy governing the design of ASB North Wharf. Banking is traditionally a business in which people know their place, and keep to it. In this building, workers are encouraged to find their place, and use it for a particular time and purpose. The result is an exuberant workplace with a variety of spaces for big meetings, small meetings, private work, social interaction and relaxation. Many forms and materials refer to or derive from the local boatbuilding industry. The interior of this building – an environment about as paperless as is currently possible – is an ambitious experiment in workplace behaviour and design. An overarching environmentally sustainable design agenda is evident in the spatial arrangement, workplace amenity, technical performance and social organisation of ASB North Wharf. An innovative section allows daylight and fresh air to penetrate deep into the interior; in a sense, the building is a working lung. The artful screen of the north façade moderates the bright maritime glare; behind the screen, windows may be manually, and individually, operated. Banking is traditionally a sedentary occupation; this building promotes movement, and therefore well-being, via the stairs and bridges that traverse the big, open central volume. To an unprecedented degree, in a New Zealand building of this type, environmental responsibility is devolved to the building’s users. ASB North Wharf designed by BVN Donovan Hill in association with Jasmax as a fundamental building block of the new Wynyard Quarter, in Auckland, New Zealand has been given an Auckland Architecture Award for Sustainable Architecture. 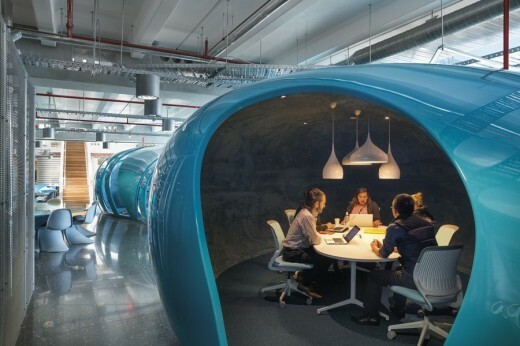 According to the awards jury with its “bold response to a sustainable imperative, the building proudly declares its passive technology”, which includes a giant funnel that draws natural air through the workplace.